Vince Toulouse is quickly becoming a builder who produces the gold standard when it comes to vehicles. 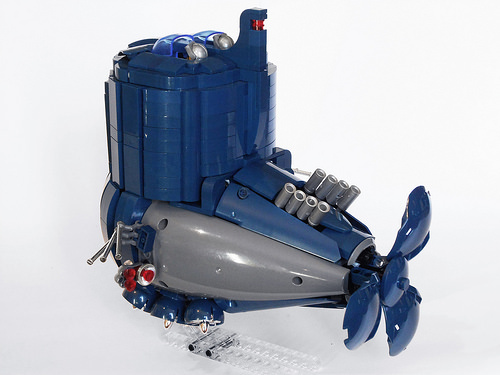 Previously featured here multiple times, builds such as the soapbox car, unofficial Batpod and retrofuturistic trike are easy to fall in love with. 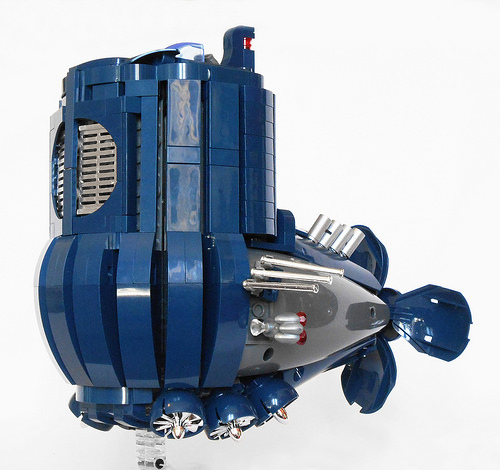 But his newest build, humbly titled “Machine n°6” may be my favourite: a dark blue submarine.